Outdoor floodlight provides useful light output while also minimzing bug attraction. 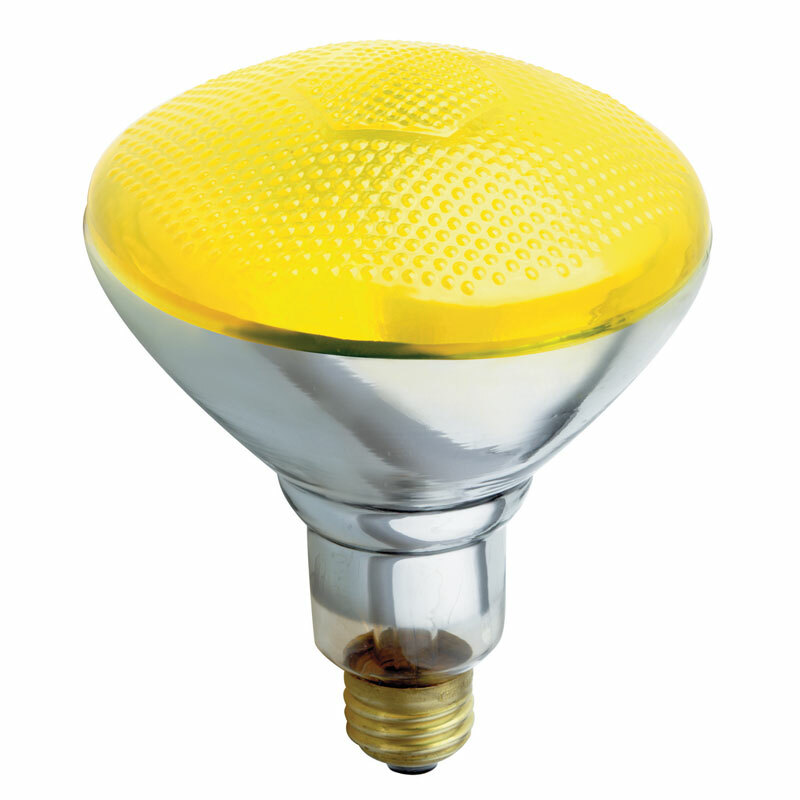 The BR38 floodlight bug light bulb features a special yellow coating which makes it difficult for most flying insects to see. Ideal for use where people gather outdoors.